The bathroom vanity is more than just a functional area where you get ready and store your toiletries. It's also a great place to express your personal style. And fortunately, you can put a lot of personality into a small area. Read on for nine unique and beautiful bathroom vanity ideas to consider. 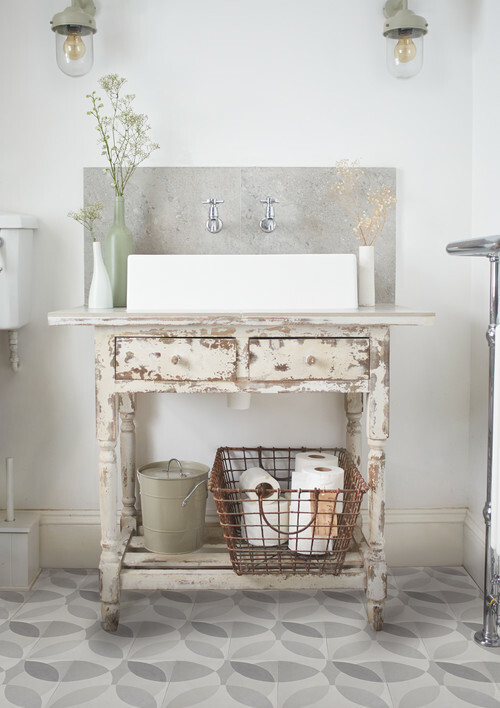 Using a salvaged furniture piece as your bathroom vanity will bring in a unique personal style. You can dress the piece up or down to match your style, whether that's traditional, modern, rustic, or something else. Keep it looking worn, or repaint it for an updated look. 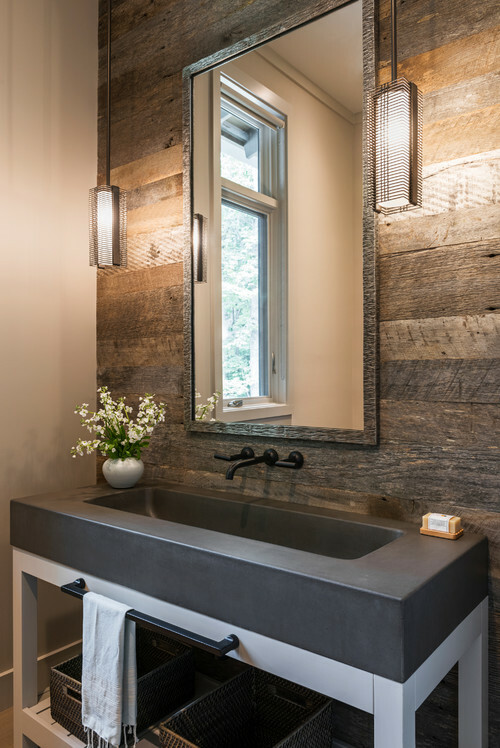 Either way, a salvaged piece will give your bathroom a one-of-a-kind look. Reusing a furniture piece that was intended for another purpose is not only a great way to recycle, it can also add an interesting touch to your bathroom's design. Unexpected but stylish, this adds a fun and interesting touch to your bathroom. 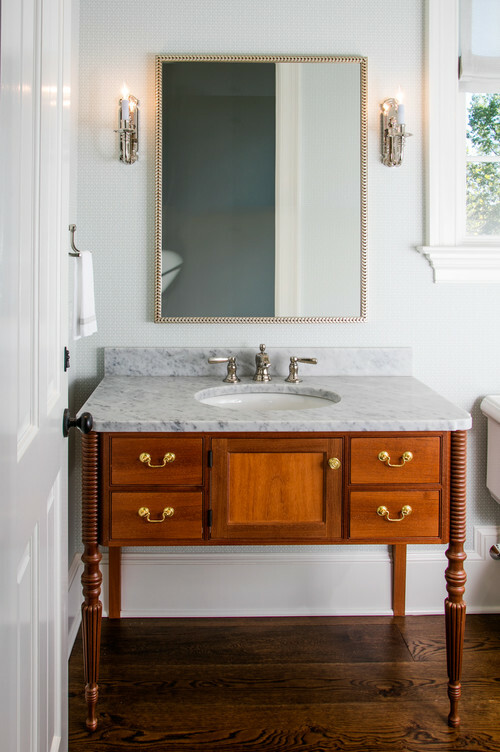 As long as we're talking about re-purposing furniture, think about reusing a dresser for your bathroom vanity. It doesn't have to be fancy; you can alter the look of the dresser with paint and new knobs. Bonus: The drawers give you plenty of tucked-away space for towels and toiletries. You can cut a hole and install a sink into it, or add a sink bowl to the top for a modern look. A floating vanity looks sleek while opening up the space in your bathroom. It helps to keep the bathroom clean, and it gives you greater access to heating and cooling vents. 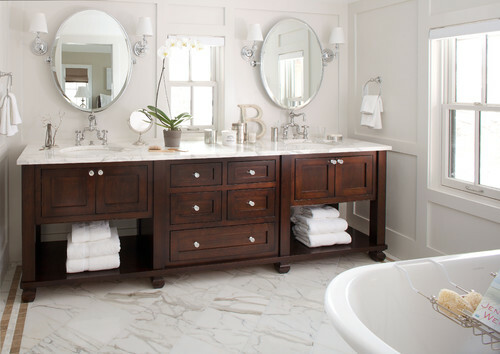 Depending on the style, traditional vanities that sit on the floor can sometimes make a bathroom look crowded. Floating vanities, on the other hand, break up the bulkiness that traditional vanities might bring to the bathroom. And if you love modern, the floating vanity is one of the best ways to give your bathroom a modern, minimalist look. While the above floating vanity is a showstopper in a large bathroom, it can also be a great tool for making a small bathroom feel bigger. Bigger is often better. If you have a small alcove for your vanity, consider installing a wall-to-wall vanity. It's a snug fit, but because it makes use of every inch of space in a stylish way, it doesn't feel cramped. 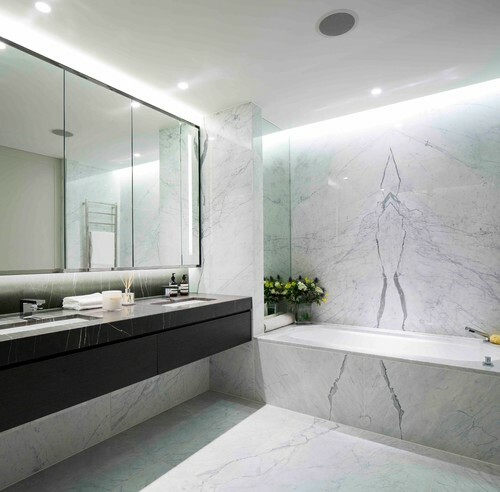 Straight lines and minimal design in this bathroom vanity make this space look bigger and ultra clean. 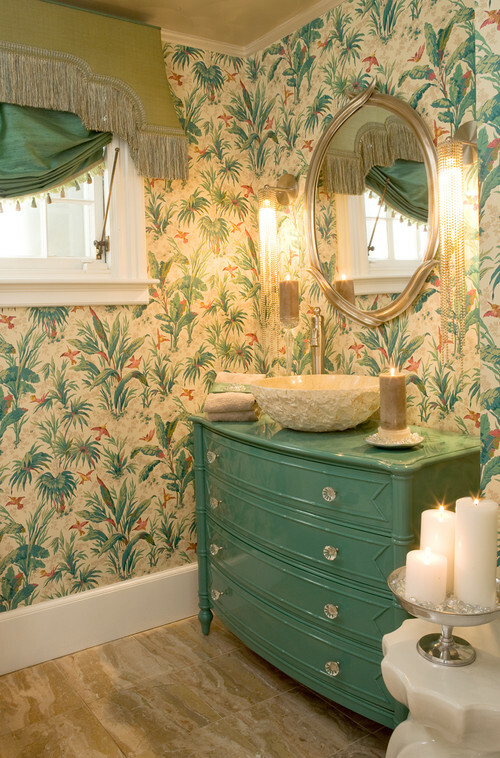 This look is great for a powder room where you don't need a lot of extra storage but still want to make a statement. 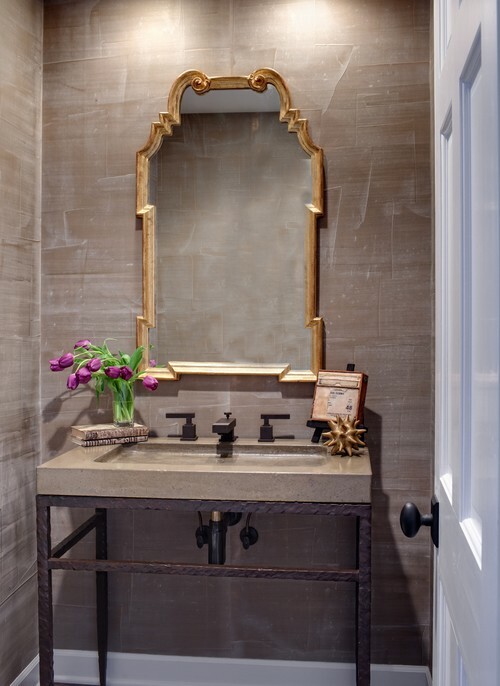 Your vanity can be the key element in creating a beautiful design contrast in your bathroom. In this example, the dark bathroom cabinetry paired with a white countertop and white bathroom elements looks stunning and bold. This works for any style you prefer. Have a tiny bathroom? 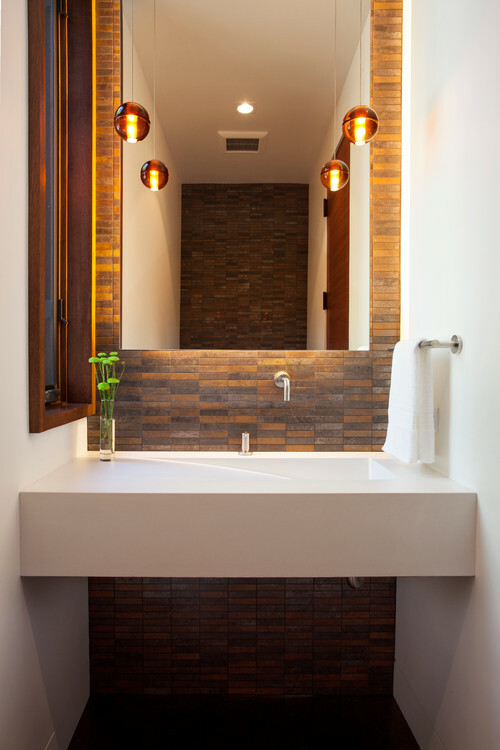 Consider a corner sink to make the most of your limited bathroom inches. It saves floor space while still standing as a stylish sentinel. We're used to towel racks being anchored to the wall next to the sink, but that's not the only way. Consider keeping the clean lines of your walls intact by adding a towel bar to your vanity. This is stylish and perfect for a small bathroom. Have an itch to remake your bathroom vanity? Talk to the bathroom experts at New Life Bath and Kitchen, serving the Central Coast. We can help you turn your ideas into reality. Give us a call at (805) 639-5433, or contact us online for a consultation.